The Nationwide Insurance: Bell Insurance Agency Corporation in Chesapeake, VA provides the following products. To learn more about each insurance product, click on the links below. Understanding the language of insurance policies can be difficult, which is why Alex H Bell II focuses on being your guide to coverage whenever you ask for a quote on a new auto insurance policy. Whether you are looking to keep coverage on an older vehicle or you want to make sure your new purchase is fully protected, there are a variety of coverage options offered by Bell Insurance Agency Corporation to fit any driver's needs in Chesapeake. Liability coverage is the first and most basic kind required by most states, but your optimum level of coverage and your state's minimum requirements might be quite different. It all depends on your individual needs starting with the vehicle you drive. Agents at Bell Insurance Agency Corporation understand this, and part of the process of finding the right policy for each driver is finding the right combination of features. That means not only taking care of basic liability but also assessing your needs for collision insurance protection and comprehensive coverage to provide drivers with peace of mind even when the vehicle is parked. To ask questions about coverage or to talk to Alex H Bell II about other discounts you might qualify for, give our offices a call at (757) 340-0028. We are also able to make appointments for face to face consultations at our office located at 1545 Crossways Blvd. Whether you want to know more about prices and coverage levels or you're ready to move forward with a purchase, our agency is ready to help with your auto insurance questions. Part of protecting your family's financial future is purchasing appropriate insurance for your life situation. For homeowners, coverage for your property is important for your financial security. Bell Insurance Agency Corporation offers several types of home insurance products so you can find the protection you need. 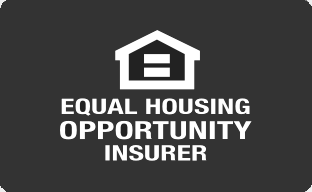 Speak with Alex H Bell II to find out which type of home insurance is the best for you. Just as homes can vary greatly from one another, home insurance policies do as well. You want to obtain coverage that will fully protect you against potential risks, without overpaying for coverage you do not need. The size and type of your home are just some of the factors that can affect which provisions you will want your policy to include. Call (757) 340-0028 or schedule an appointment for a consultation with Alex H Bell II in Chesapeake to discuss your customized options. We at Nationwide want you to feel comfortable and secure with the protection you have. We know that your circumstances are highly individual and we want you to be protected from every angle. You can come into the agency office on 1545 Crossways Blvd to speak with highly qualified insurance professionals who will give you the information you need to decide which policy to choose. No matter if you have a family, a spouse or are single, you need a life insurance plan built with the help of Alex H Bell II in Chesapeake. Your plan is intended to provide you and the people most important to you with complete peace of mind, but you might be uncertain as to what kind of protection is best for your particular needs. Know that you have quick and easy access to professional help to ease your mental burden. If you’re unsatisfied with your current life insurance protection, or if you’re getting insurance for the first time, do yourself a favor and work with a life insurance agent who cares. When you’re ready, we’ll be waiting for you at Bell Insurance Agency Corporation located at 1545 Crossways Blvd,Chesapeake,VA,23320. You’re also more than welcome to speak with Alex H Bell II directly by calling (757) 340-0028. One of the best gifts that business owners can give themselves is peace of mind. To that end, Bell Insurance Agency Corporation has teamed up with Nationwide to offer a wide range of business insurance solutions in Chesapeake. We have options geared toward business type, for example, funeral home, print shop, coffee shop, golf course, beverage wholesaler, and much more. We also recognize that each business, regardless of industry type, has unique needs and wants. When exploring insurance coverage choices, a good place to start is with an On Your Side® Review. Alex H Bell II or one of our other agents looks at your business to identify considerations such as size, location, customer base, and more. We make suggestions for your insurance coverage options based on the review and on our experience of businesses of that type. Whether you work in food and beverage, retail, contracting, wholesaling and distributing, or something else, we can meet most, if not all, of your insurance needs. Some of our additional insurance coverage options include accounts receivable, cyber liability, umbrella, and income loss coverage due to an interruption. An On Your Side® Review may identify factors such as auto insurance that you may not have thought of. Ideally, you gain the peace of mind that your business will remain stable. Take an important step today and stop by the Bell Insurance Agency Corporation office at 1545 Crossways Blvd. Alternatively, give us a call at (757) 340-0028 to begin investigating your insurance coverage options.